A rich green, upright variety with a subtle pyramidal form. 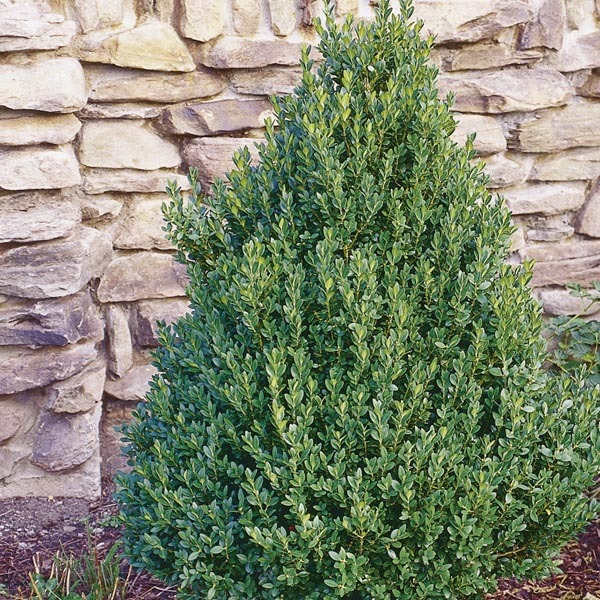 'Green Mountain' is a fast grower suitable for hedges or screens when results are needed quickly. Prune freely to maintain the desired size and shape. This is a good variety for shaping into a topiary. A classic favorite for landscape focal points. Looks beautiful in the garden as a specimen or clipped hedge. Excellent for planting along fences and walls.